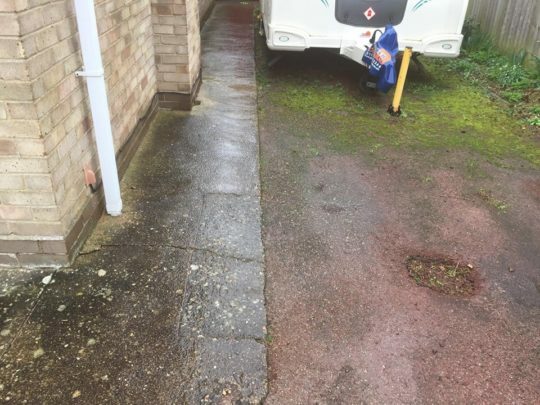 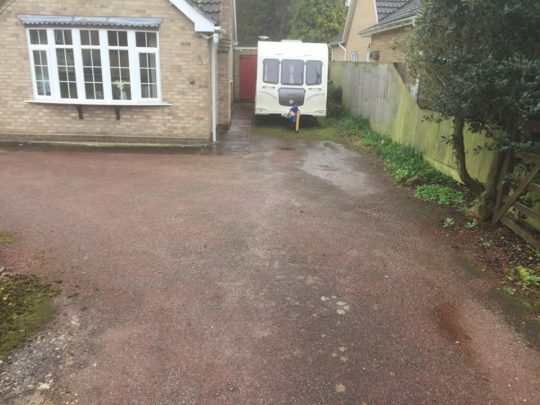 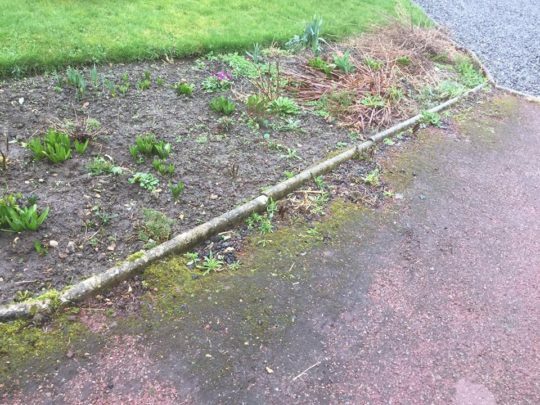 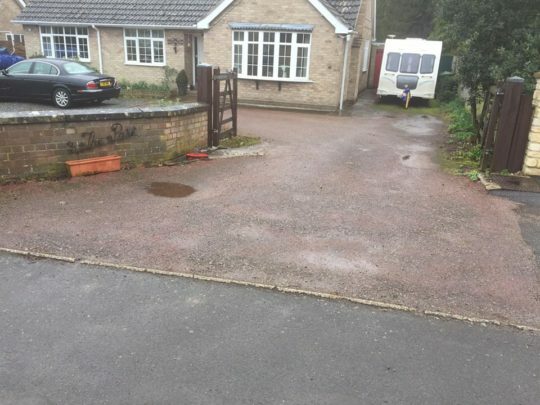 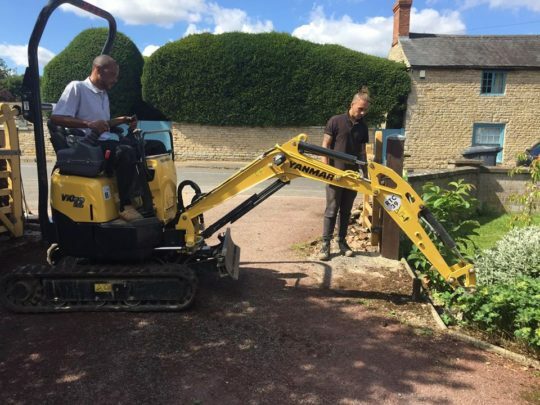 Our client had a very old tarmac drive which had worn out in lots of places, had a lot of moss and generally looked a lot worse for wear. 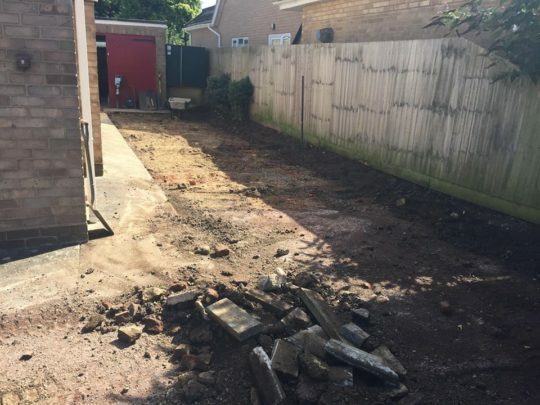 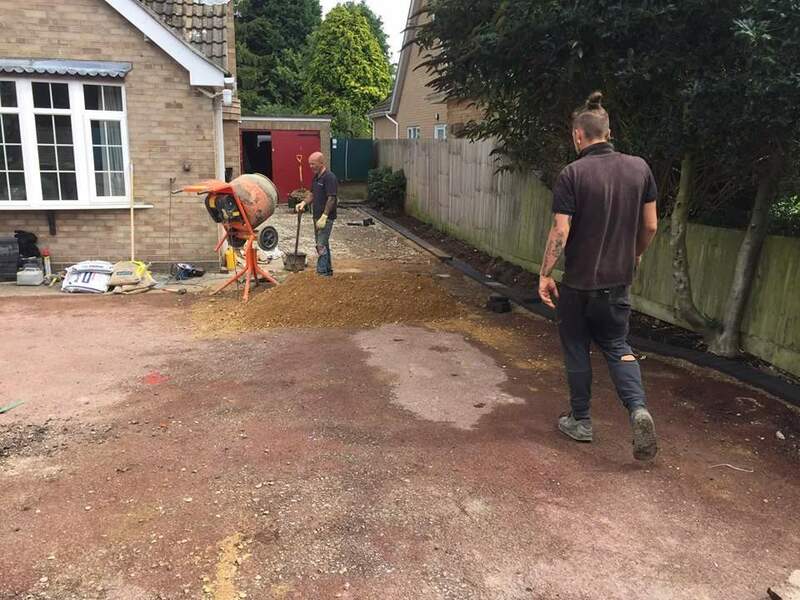 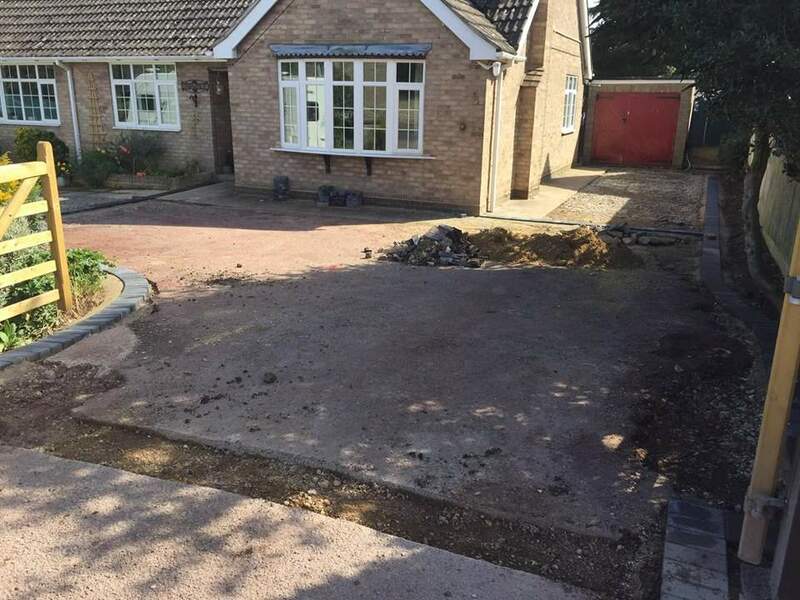 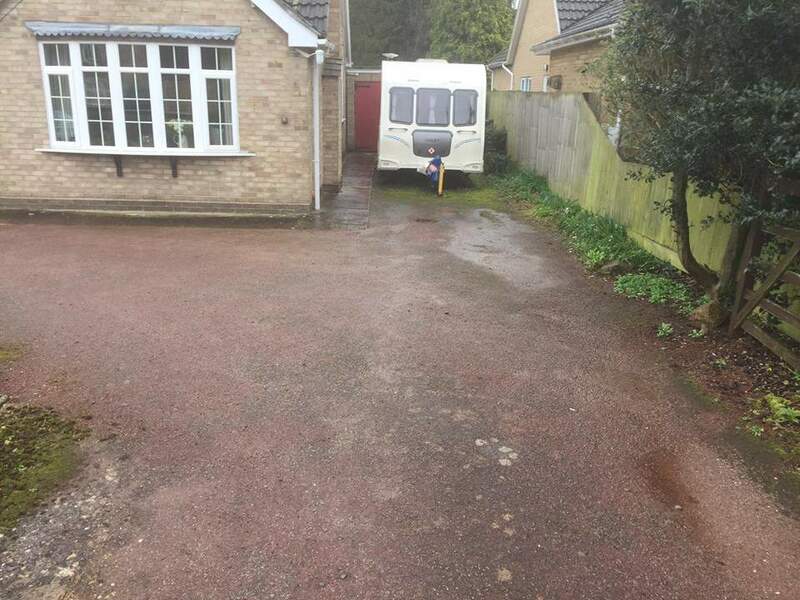 The areas that were beyond repair were excavated and new tarmac base installed. 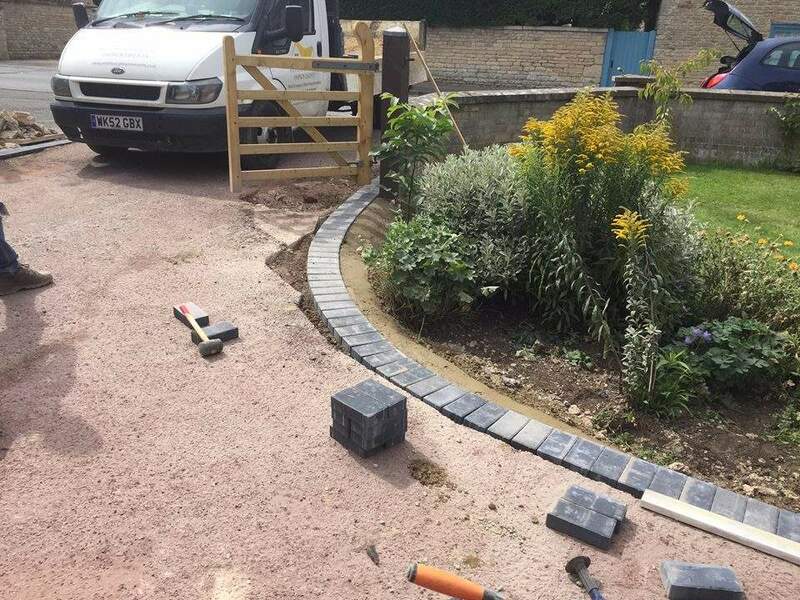 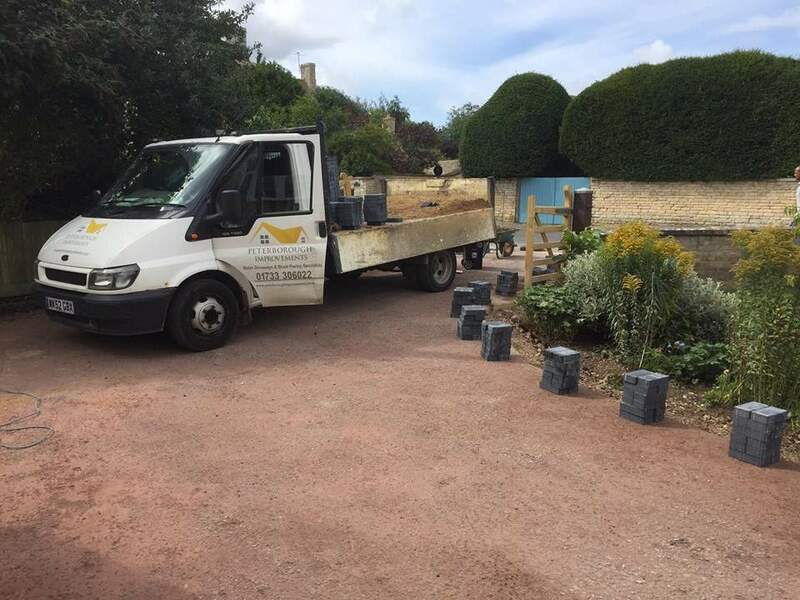 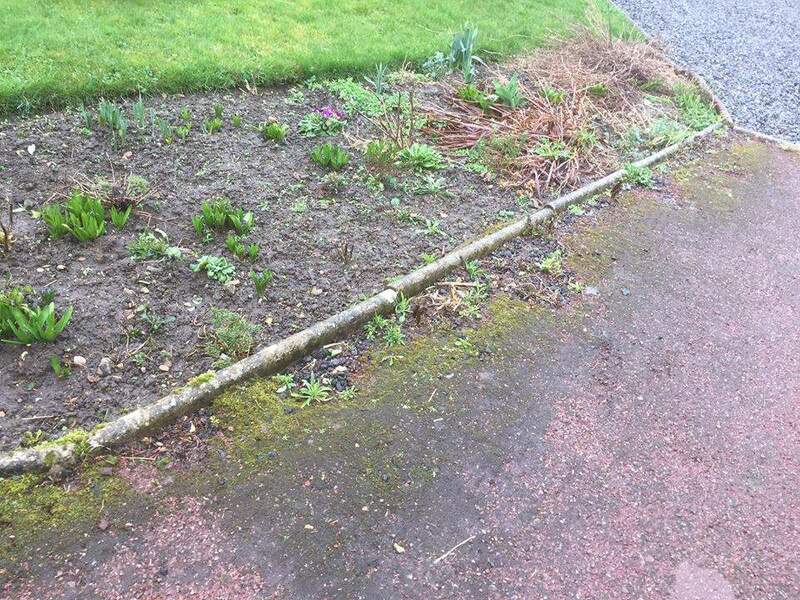 Other areas were repaired and new edging blocks installed. 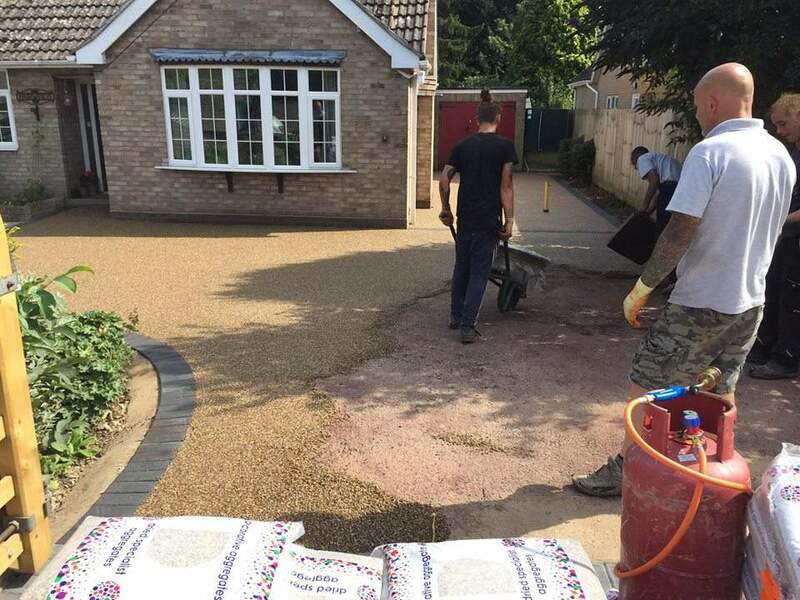 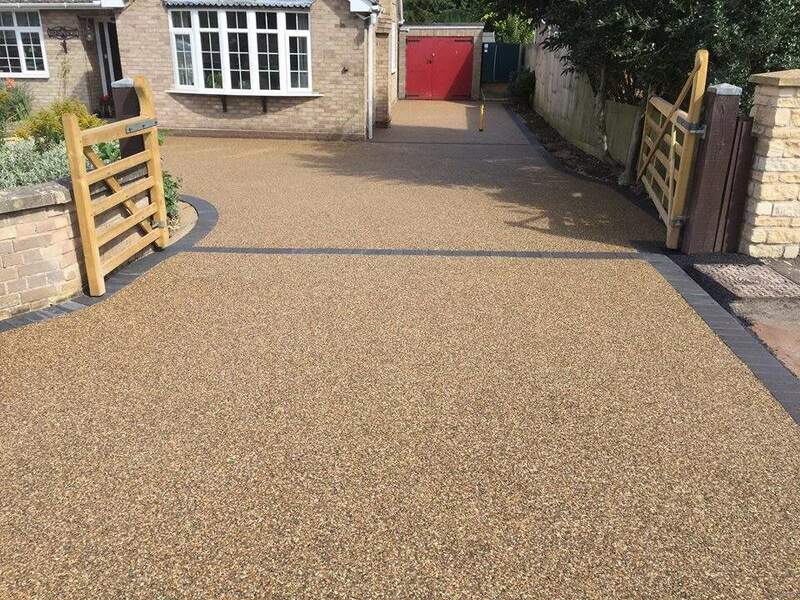 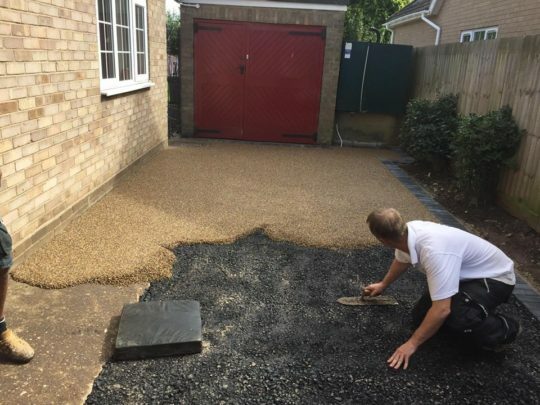 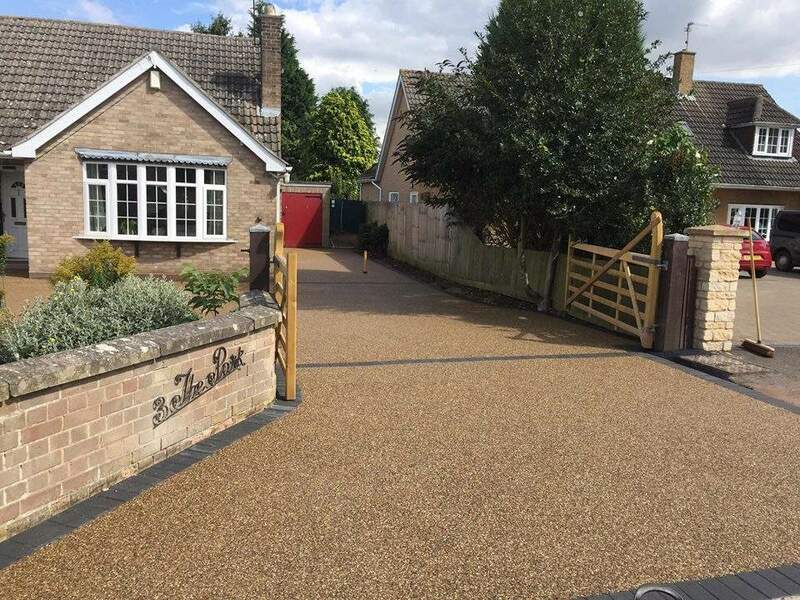 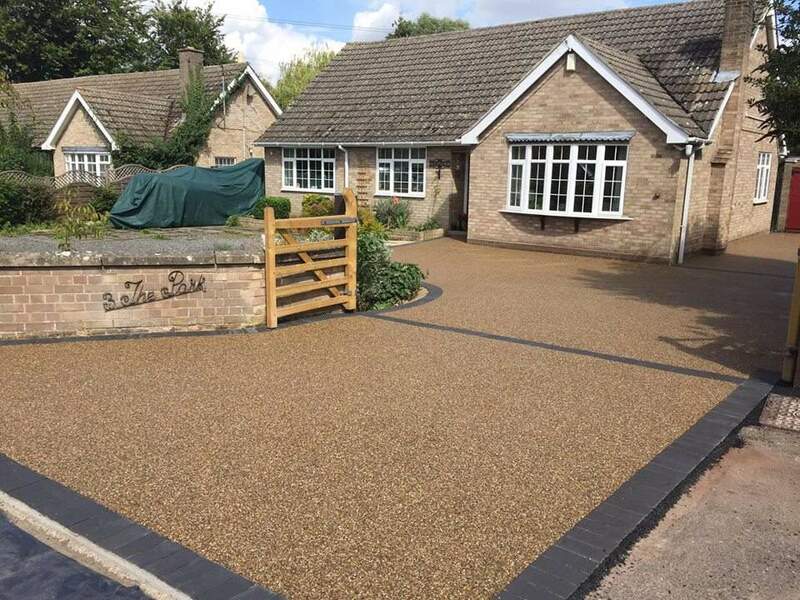 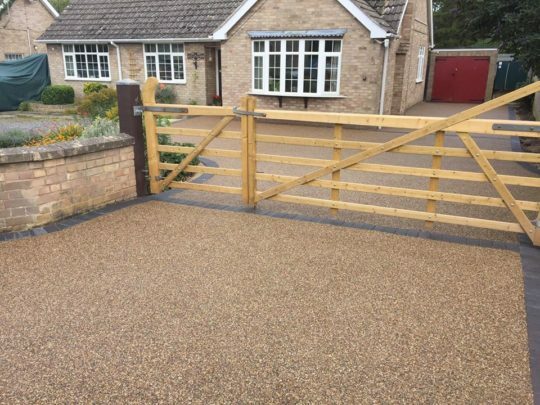 The entire area was then trowelled with Golden Pea aggregate 1-3 and 2-5mm bound in UV resistant resin. A huge transformation and extremely happy customers.